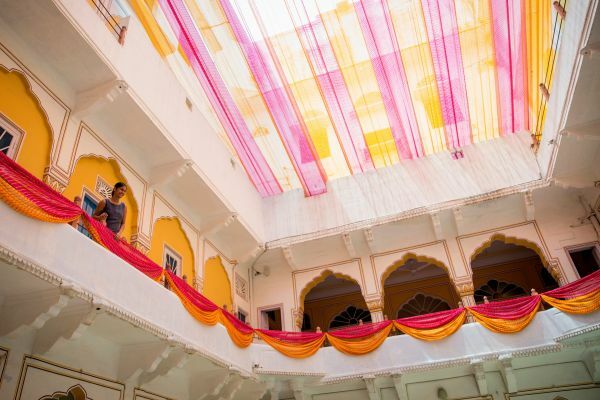 When we hear of a Jaipur wedding, most of us imagine a royal procession complete with haathi ghoda palki, a bride decked from top to bottom in jewellery and clothes that probably weigh more than her and a palace - basically everything straight out of a Sanjay Leela Bhansali movie. 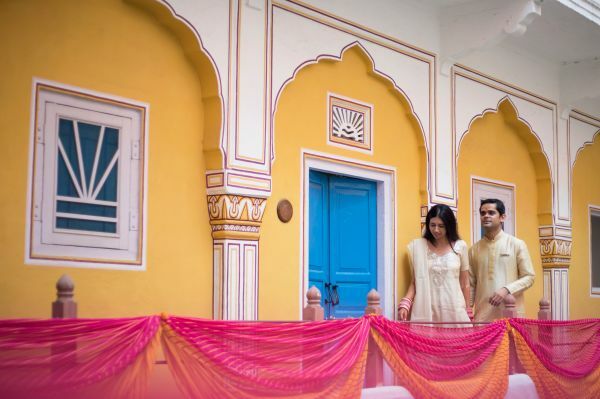 But this Jaipur wedding was nothing like what I just described. It was the most chilled out shaadi I have seen in a very long time. 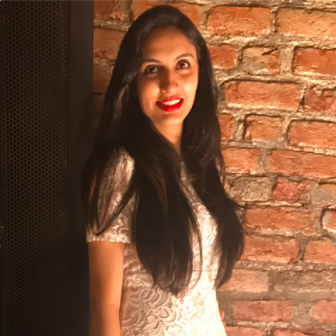 So, ladies, here's presenting to you the beautiful wedding story of our very own Beauty Editor, Manavi Siddhanti. 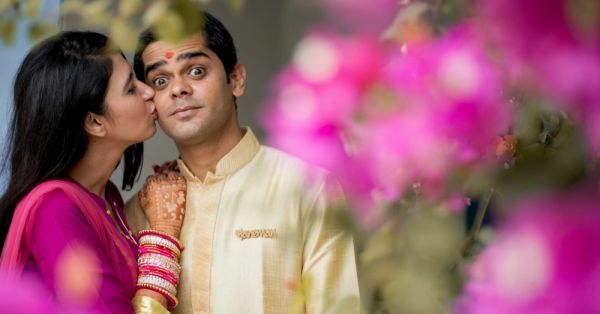 "Srijan and I technically met as a rishta. But, unlike many setups where parents are involved right from the beginning, ours weren’t. So, we met and soon began dating, trying to catch up as much as possible. Then after a few months of being together, when we were both surer and ready to get married, we met each other’s parents in April. Our parents were happy and truthfully jumped the gun. 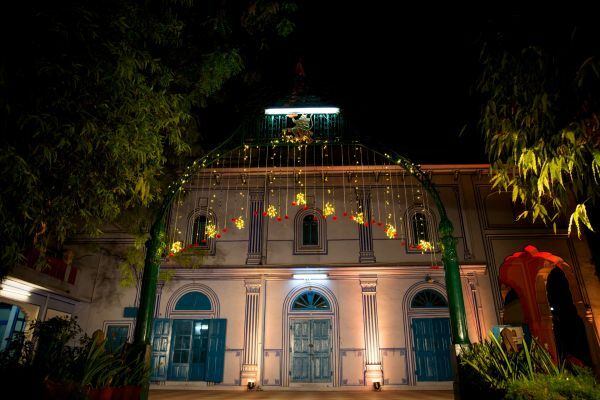 However, there was no shubh mahurat till October and we were given two sets of dates in both June and November." Since they were already much-in-love and couldn't wait to just get married to each other (cueing the collective awwws in 3...2...1...), they decided it was okay to go for a June wedding. Now that's a gutsy move I would say. Most people wouldn't want to rush their wedding like this, but as we all know, everything is okay when you're in love. And looking at their wedding, you will see that there really is no reason to complain because it was perfectly put together to the T.
"The day we decided to look at Diggi Palace for our wedding was one of the sunniest afternoons this summer (43 degrees at least), but as I made my way through their sleepy courtyard, something about the haveli really resonated with me. 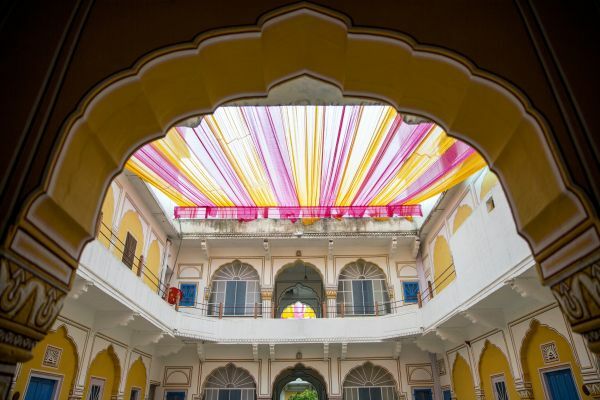 I’m not gonna lie, I could already imagine a great photo session thanks to the kaleidoscope of colours that you find at Diggi Palace." 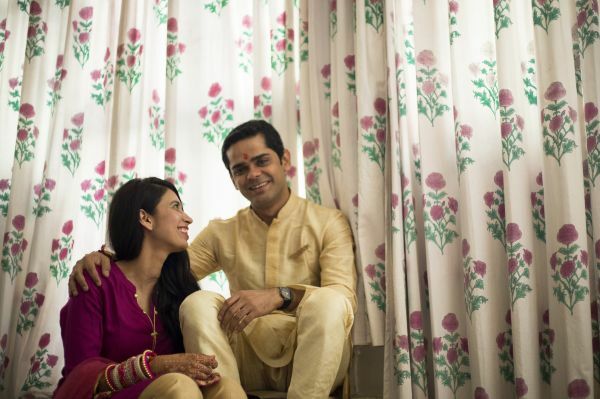 Manavi was working till two weeks before her wedding, and not showing the slightest signs of panic at all! A bridechilla in the truest sense of the words, she picked the most stunning outfits for her big day. 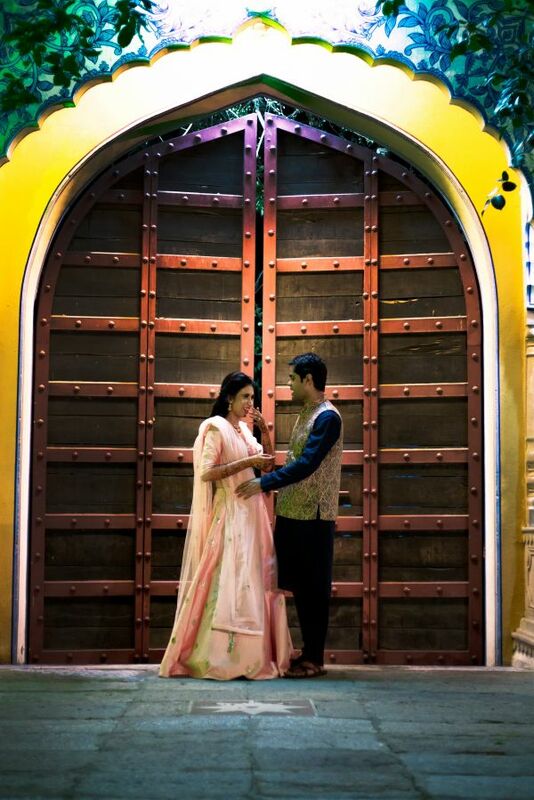 She opted for a pista green lehenga by Label Anushree for her mehendi ceremony. Since it was a day event and it was a hot summer morning, her choice of colour, fabric and design was something I really liked. 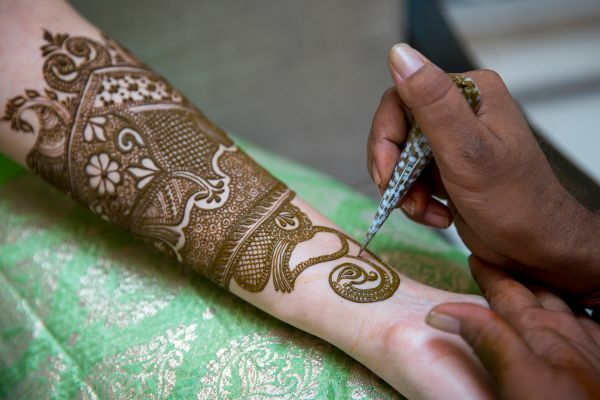 It was such an easy breezy outfit that let her breathe while sitting still for hours at stretch during the mehendi application. 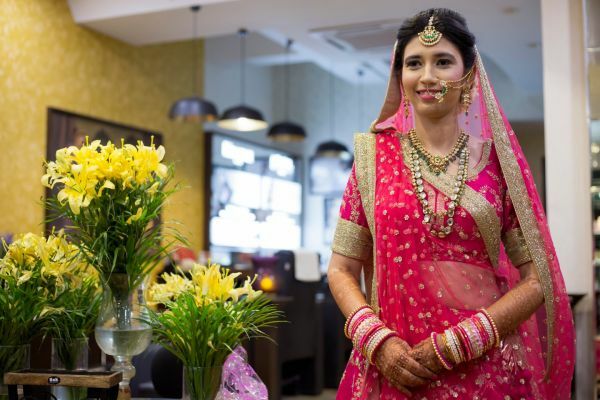 Her hair and makeup was done by Keshav and Anamika at the Looks Salon, Jaipur. 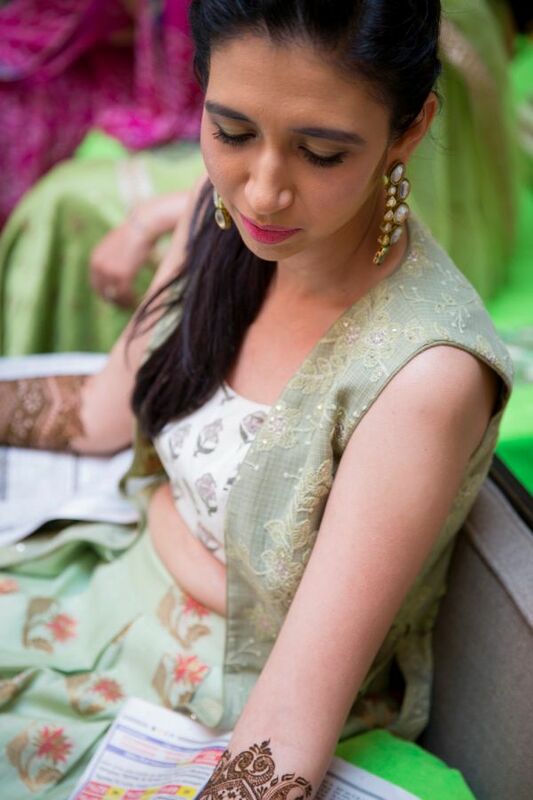 A side-braided hairstyle with subtle makeup completed her mehendi look. 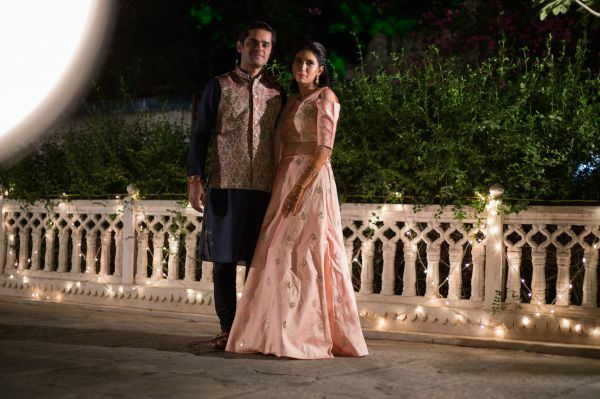 Next up was the engagement ceremony and the stunner bride picked a light pink lehenga from Ushnak Mal in South Extension, Delhi. Her hair was let down and adorned with baby's- breath that we love so much! Her makeup was kept minimal and Manavi was a vision to behold. 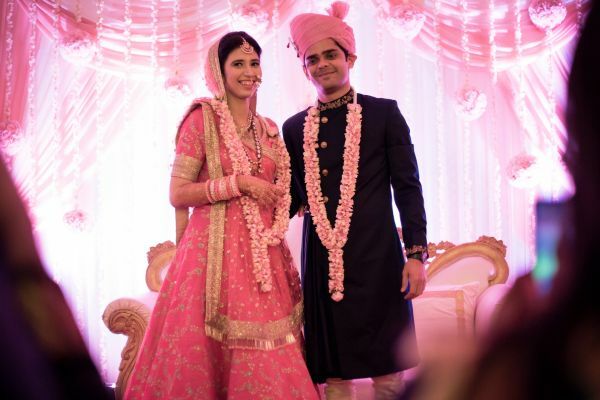 And after Srijan put a ring on her finger, it was finally time for them to walk down the aisle and start their forever together. 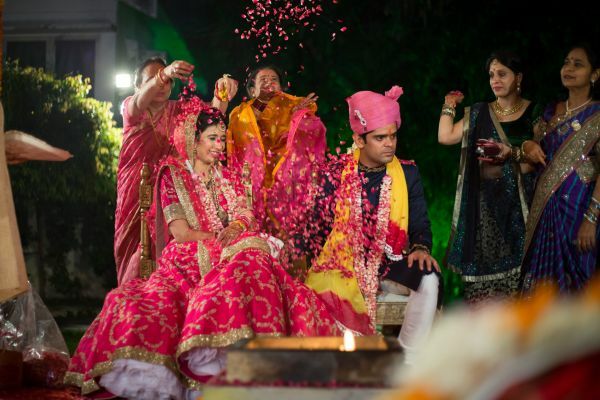 The big day arrived and after a traditional chooda and haldi ceremony, the wedding function took place on 29th June. 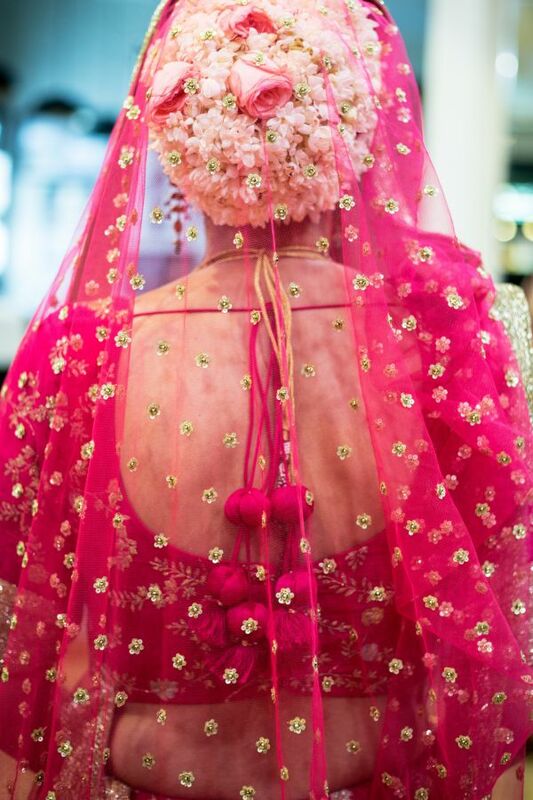 Manavi looked radiant in a magenta Payal Keyal lehenga and her gorgeous floral bun. Not one for very heavy makeup, the bride kept it light and natural even on her wedding day. Our beauty editor sure knows how to perfect the no-makeup makeup look. 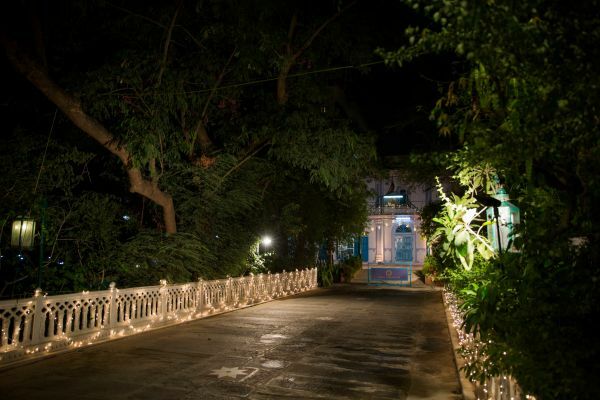 Diggi Palace is known for being a very vibrant and colourful location and it doesn't take much to make it look perfect! 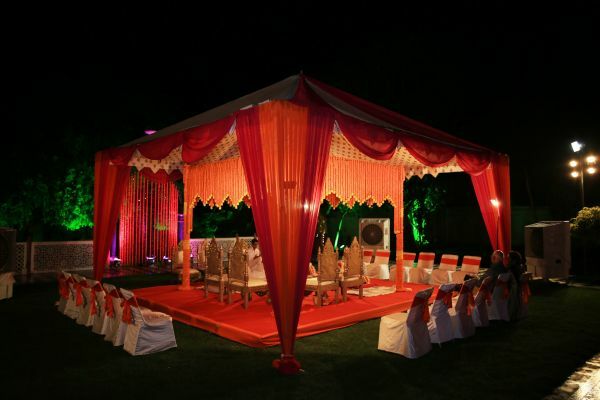 A lot of mirchi lights and coloured dupattas arranged like a canopy above the courtyard, a stunning mandap smack in the middle of the garden and you're done! 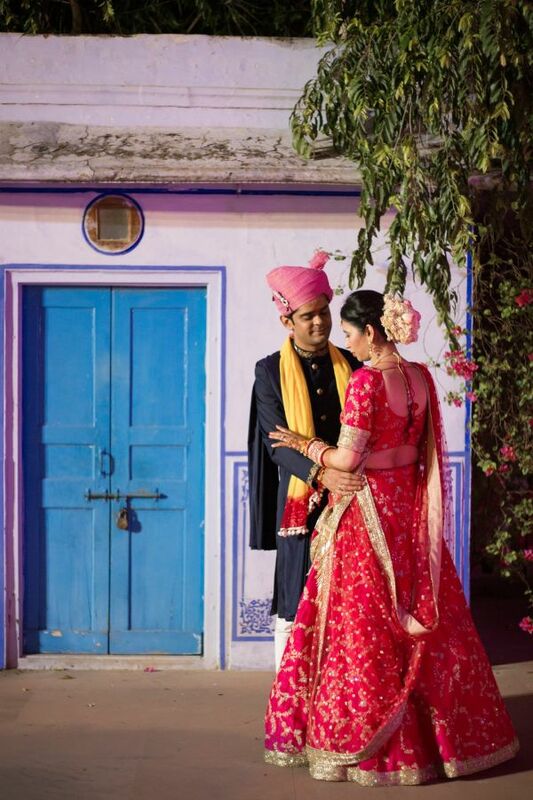 The wedding photographers Vinshivam and Aditya supervised by Abhimanyu Choudhary from Lenskraft Photography made the already gorgeous wedding look even better! 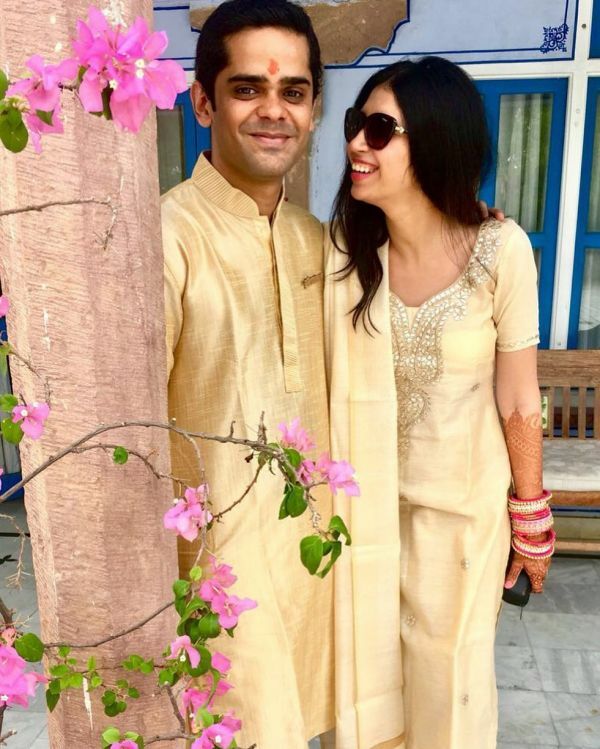 On behalf of the POPxo team, I wish Manavi and Srijan a very happy married life!